EXTREMELY STRONG 100% NYLON MATERIALS: This Drawstring Bag Made out of the premium quality Water Resistance Nylon materials, our ICOLOR gym sacks are designed to withstand regular heavy duty use. Take them to the gym, to yoga class, to cycling class or wear them while going for bike rides . 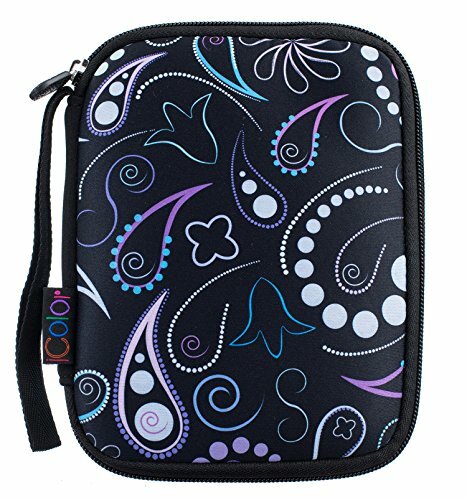 Interior zippered pocket that keeps small items such as smartphones, calculators, pens and pencils safe. Unfolded dimensions: 18 inch X 13.8 inch .Interior zippered pocket that keeps small items such as smartphones, calculators, pens and pencils safe. Our Commitment: 30-day Money Back Guarantee! 100% Replacement for defective items! If you are not satisfied, Please feel free to contact us. 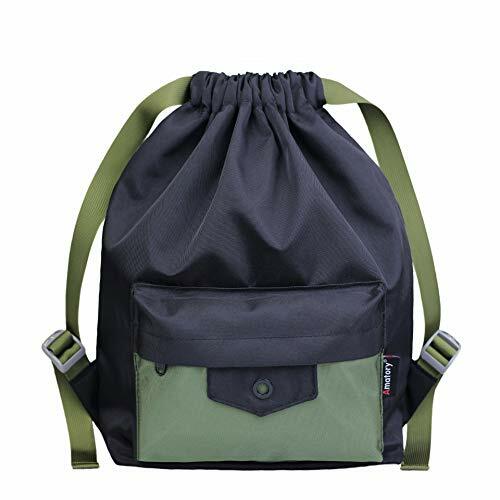 【Durable and Waterproof】- This sackpack is made of high quality tear and waterproof nylon fabric,heavy duty metal zippers and enhanced by bar-tacks at major stress points provide long-lasting durability against daily activities.Easily washable,recyclable and durable. 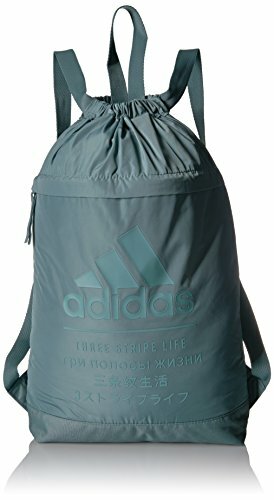 【Large Capacity and Multi Pockets】- This drawstring backpack features one main compartment and 5 separate pockets.One inner wet pocket for wet clothes.One front zipper pocket for small items.Two Side mesh pockets for water bottle and one interior divider helps separate your gear.Dimensions are 17.5" х 14.5". 【Foldable and Multipurpose 】- Fold the backpack into its own pocket for storage and unfold it when you use it.Super lightweight(0.57lb) ,Compact and Unisex design is perfect for gym,sport,yoga, dance,travel,carry-on,luggage,camping,hiking,team work,training and more! 【Easy Open and Carry】- Designed with drawstring closure for easily taking things in and out.Comes with a sternum clip to keep cords secure & in place. 【Lifetime Warranty】- Our Promise-lifetime warranty-Exchange,return,whatever it takes. 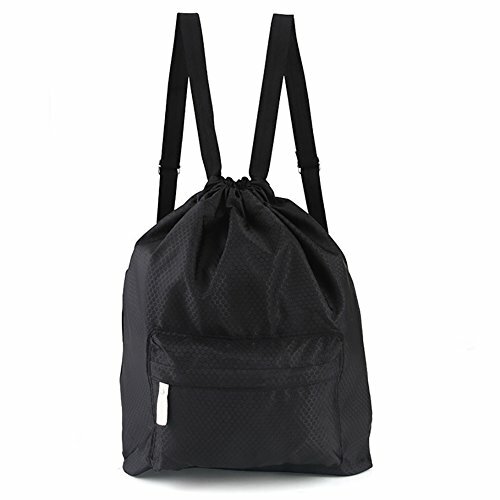 High Quality Gym Bag: Durable and breathable water repellent nylon with adjustable thick shoulder straps, ventilate and comfortable, our drawstring gym bags are sturdy and lightweight, optimal for any indoor or outdoor activities. 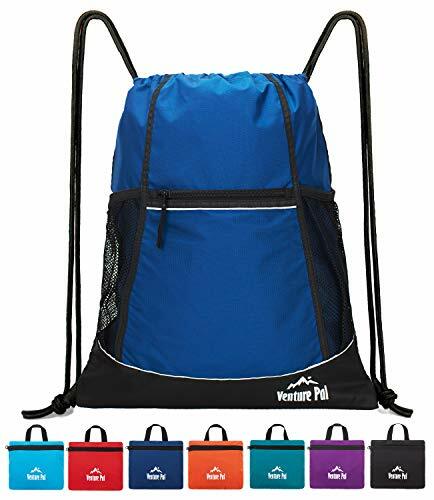 Large Capacity: One main drawstring pocket, roomy enough to fit a pair of shoes, or some books, towel, umbrella, water bottle, sunglasses, etc. A hidden small zipper pocket inside the main pocket, can hold your phone, keys, credit card or other small items. 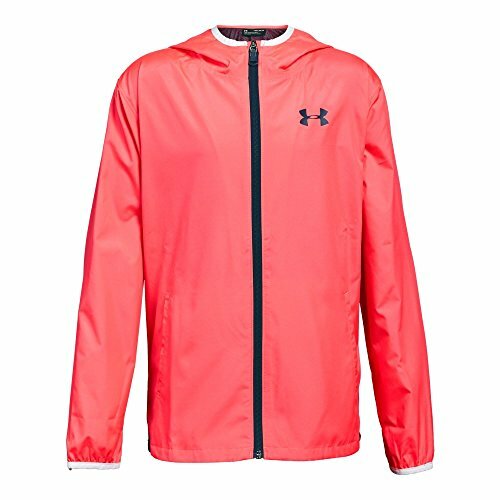 An exterior waterproof zippered pocket, easily protect items inside from being wet when in rainy days. Approx Dimensions: 16.14''/41cm in height, 13.38''/34cm in width. Weight: 0.44lb. Adjustable drawstring straps, easily fit for different size. Style: Fashion. Fit for men and women, adult, teenager and kids. 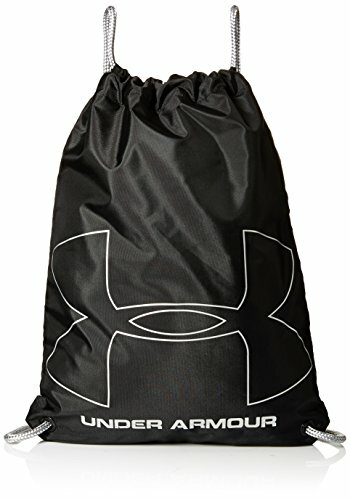 This gym bag is great for sports or every day use. 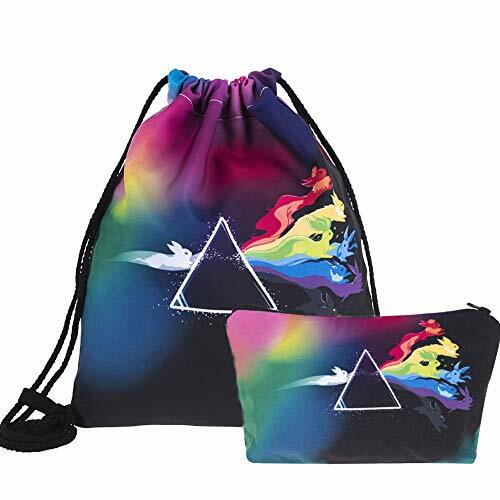 Variety Occasion: Our waterproof drawstring bag are unisex and fit for multiple activities, including running, hiking, surfing, hot spring, walking, travelling, and camping, day trips, sports practices, overnight stays, swimming, travel, yoga, vacation, shopping, jogging, gym sports and also a great sackpack for boys, gift for your friends and family. Perfect Gift for you! If you are looking for a durable, comfortable, and stylish gym bag for your active lifestyle, then our Drawstring Sackpack would be an awesome choice! 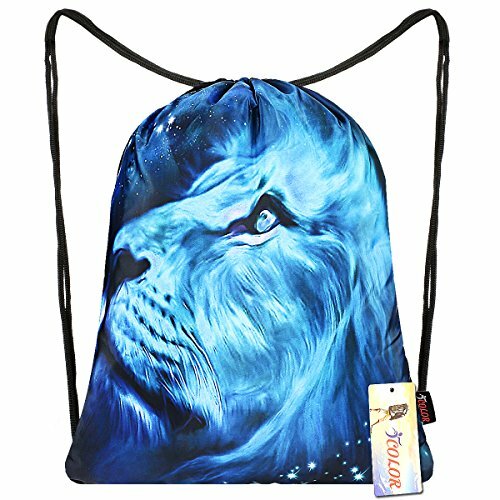 HIGH QUALITY GYM BAG - This drawstring bag is made with durable waterproof water-resistant fabric and polyester lining, lightweight and easy to carry. LARGE SPACE & MANY POCKETS - The main room is large enough to fit a basketball. 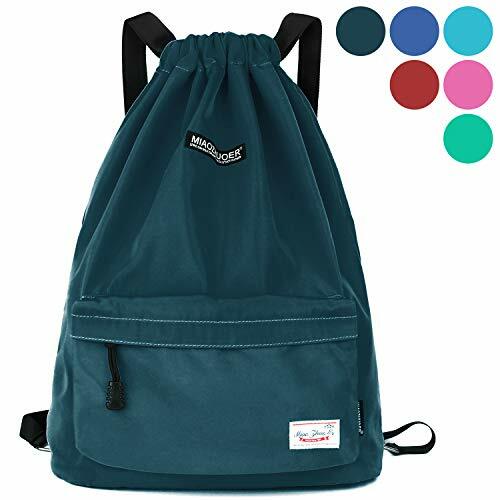 This backpack has many pockets ( 1 * drawcord at main compartment, 1 * zipped front pocket, 2 inside slip pockets for wallet and tissue, 1 * side zip pocket on the back and 2 side pockets). 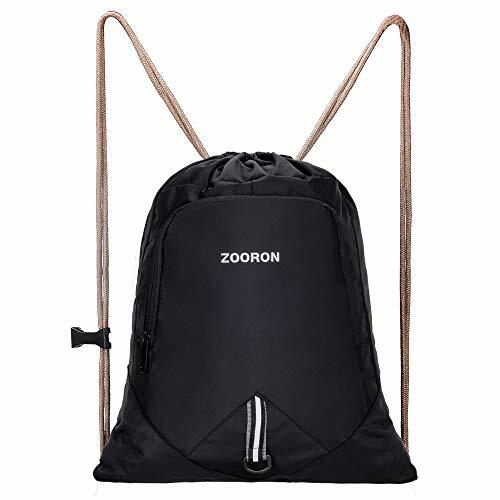 They will help you to keep the things separated and easy to be found.The backpack's approximate dimension is 15.7*6.2*17.7 in. 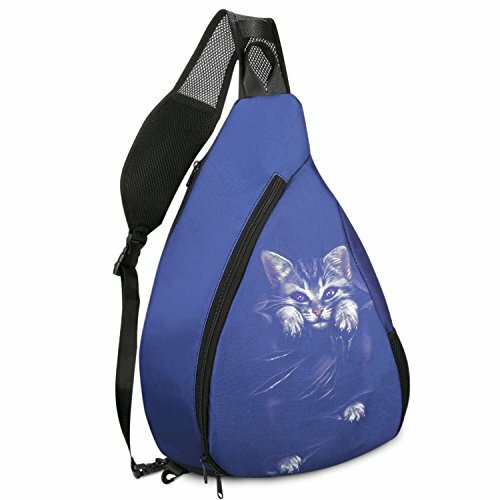 ADJUSTABLE & COMFORTABLE SHOULDER STRAP - Shoulder strap of this cinch sack bag is super wide and comfortable. NOTICE: the drawsting is safe locked with wide shoulder strap, it's a little hard to open it when messed up. Please slightly adjusting them to original position. It's very easy to lock and open. 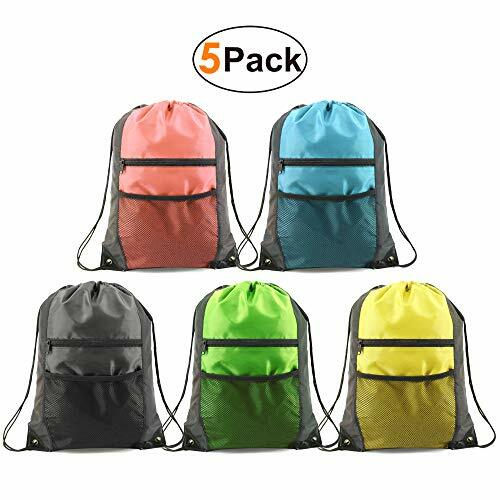 MULTIPLE USE - This sports drawstring backpack is perfect for swimming, walking, day trips, camping, sports practices, overnight stays, vacation, travel, yoga, running, shopping, jogging, gym sports etc. 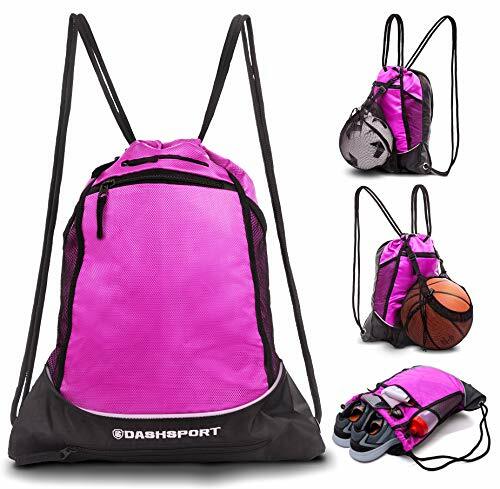 It is a great sports gifts for sport fans and students can use it as a gym backpack or school bookbag. MONEY BACK GUARANTEE - free replacement or 100% money back for defective items within 30-days. Anything you are not sure, contact the seller! CABLE MANAGEMENT MADE EASY: Keep those portable electronics organized with the help of our exclusive computer accessories organizer. Nylon interior compartment, and zippers closure ensure your item secure. Mesh pockets and elastic loops to hold various items like cables, flash disk, USB drive, Power, Phone, Charger, Passport, Cashes, Headphone and etc. MULTIPURPOSE: Not only can this iColor Electronics organizer be used to carry your computer accessories, you can also use it as Cosmetic Carrying Bag or jewelry organizer. Most versatile organization, system designed to hold items firmly in place, Endless configurations Perfect companion for your laptop bag or travel case. STRONG & DURABLE: Our iColor Electronics organizer is made of heavy-duty, durable and waterproof nylon, and finished with reinforced edges in order to ensure long-lasting durability. ? GREAT GIFT IDEA: Looking for the perfect gift idea? Our iColor Electronics organizer make a fabulous gift idea as they can be used by anyone who has a Smartphone, tablet, computer, etc., especially students and those who frequently travel. TRENDY DESIGNS: These iColor electronics organized are available in a range of fun designs featuring everything from animals to abstract art. Choose the design that speaks to you and order now! 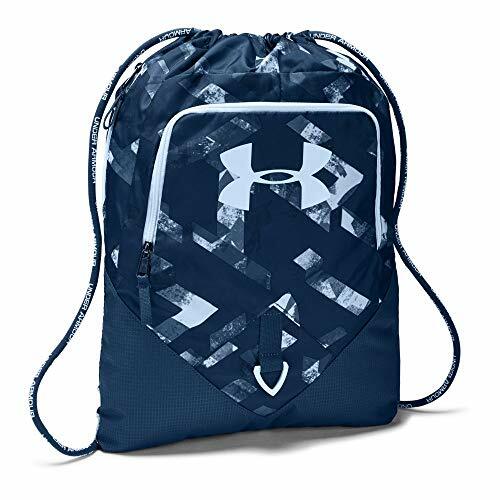 Great Sports Gift - This drawstring backpack is perfect for men and women who like fitness and sports. 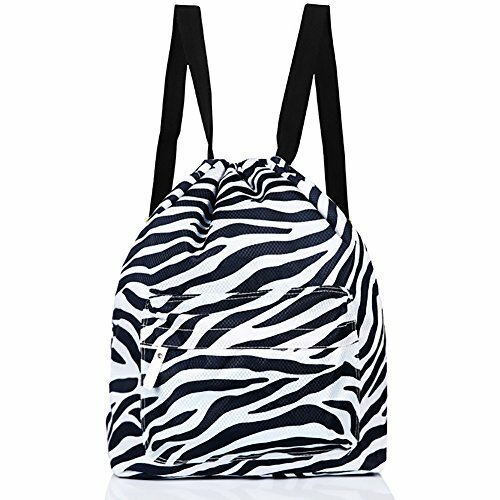 For boys and girls, it can be a sackpack for day trips or a school bookbag. It is a great sports gift for everyone. Large Space and Many Pockets - This gymsack can even fit all of the things for day trips. The main space is large enough to fit a basketball and other things. The pockets will keep your small items separated and easy to be found. Big Pocket for Shoes - A special big pocket is designed to fit your shoes or other sports accessories. The pocket is big enough to fit most large size shoes. 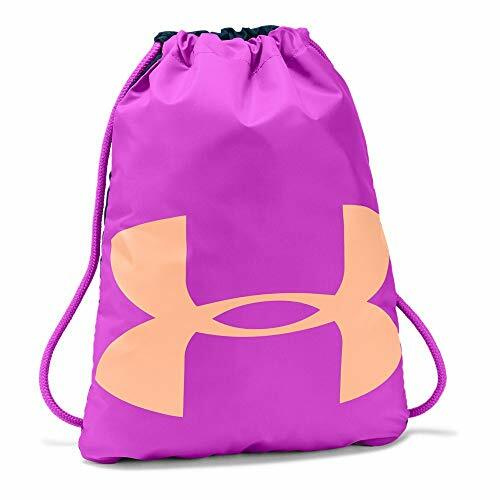 This drawstring bag is great for sports, gym, yoga and etc. 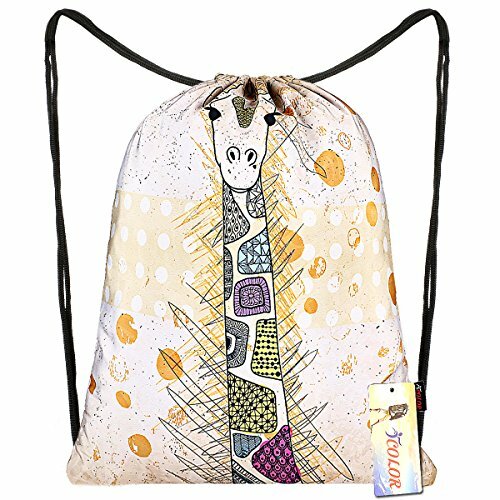 Strong and Durable - This string backpack is very strong and durable, enough to withstand the weight of 20 kg. This gym backpack can last a long time even in the harsh environment. All the things inside are protected very well. Money Back Guarantee - 30-day Money Back Guarantee! 100% Replacement for defective items! If you are not satisfied, Please contact us! LARGE SPACE & MANY POCKETS - The main room is large enough to fit a basketball. 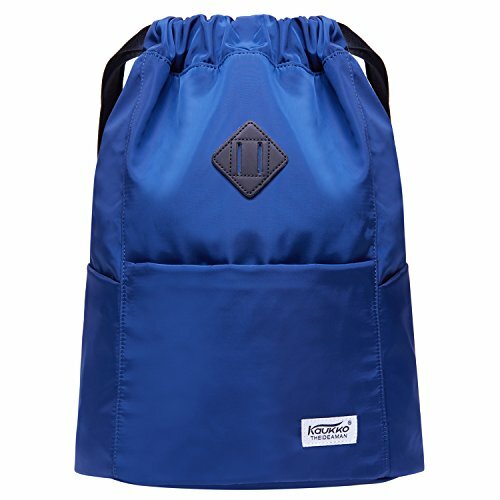 This sackpack has many pockets ( 1 * drawcord at main compartment, 1 * front pocket, 2 inside slip pockets , 1 * side zip pocket on the back and 2 side pockets). They will help you to keep the things separated and easy to be found.The backpack's approximate dimension is 15.7*6.2*17.7 in. 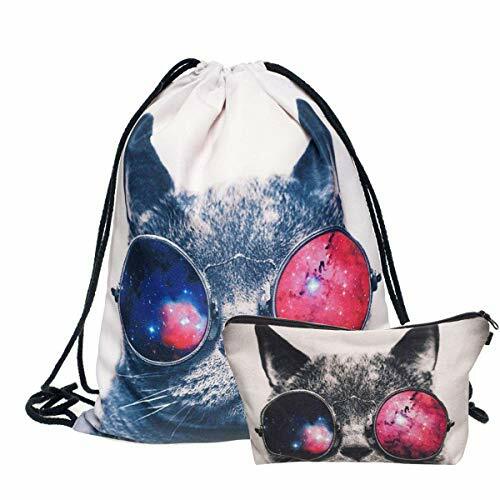 100% High Quality Polyester Cosmetic Bag,8.7*5.3*3.54inch(LxHxW);420D Polyester Drawstring Backpack,15.5x12inch(LxH).Lightweight design,easy to open and carry. UNIQUE DESIGN:Fun and cute 3D printing uniqure pattern.The designed to give you a style,which perfect gift for your family or friends.The drawstring bag is specially designed to give you a style that will keep you fashion,perfect item for every season all year round. LARGE STORAGE:This bag can fold into a smaller size,like a pouch,for your cell phones,wallet and other small stuffs.Easy storage and wide space for your suitcase or luggage when you are out for traveling and when you don't use it.The SMALL MAKEUP BAG not only can be used as organizer makeup,but also can be used as stationery bags.When you go out,you can put your keys and card in it.Heavy-use with a convenient zippered closure,it's can use long time. MULTI FUNCTION: 3D printing with specially design.Convenient for your daily use.Holding candy/phone/makeup/sanitary napkins.Small size good for daily makeup needs.Great for Multiple Activities,Including Swimming,Walking,Day Trips,Camping,Overnight Stays,Vacation,Travel,Yoga,Running,Shopping,Jogging,Gym Sports and School. 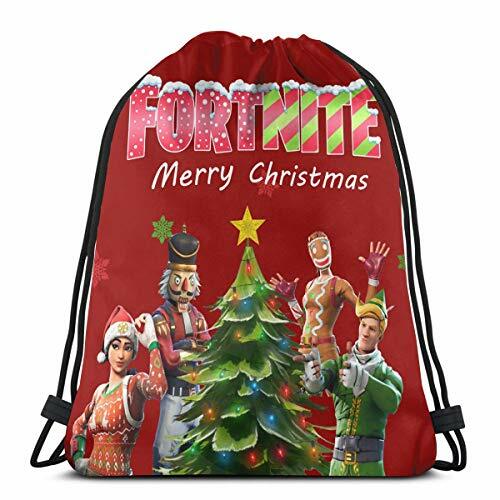 THIS IS YOUR BEST CHOOSE:Package included 1*Drawstring Backpack,1*Zipper Cosmetic Bag;You can use drawstring backpack as gift to kids and use this Cosmetic Bag as you daliy makeup storage,or you can use them as casual carry-on bags for yourself. --- GREAT HOLDERS --- Main compartment for carrying your clothing, shoes, towel, laptop, school books, daily supplies, etc. One Hidden back pocket,three inner pockets,and one front pocket. Give you perfect classification for your items like phone, keys, ID cards, makeups, wallets, etc. 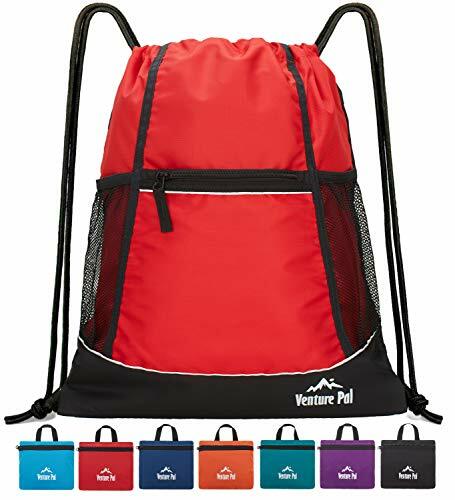 --- COMFY ADJUSTABLE WIDE SHOULDER STRAPS --- Adjustable and sturdy shoulder straps make this string backpack more comfortable and durable. The shoulder straps can be easily adjusted, making you no worry about hanging low or high on your back. You will not feel uncomfortable even if you wear it for a long time. --- HIGH QUALITY --- With water resistant, you will never find your things dripping wet in your bag. The materials are made of strong and sturdy nylon, not easy to be scratched or torn. All your things inside will be protected very well. --- PERFECT GIFT--- Drill nylon material make it not easy to lose the color and keep an active look, suit for all people who trendy or fashionable.Great gift for birthday and holidays for your family members and friends. --- 100% MONEY BACK GUARANTEE--- Ensures this will quickly become your favorite no-risk purchase. We provide 30 days return & money back, 1 year warranty and lifetime customer service. MILTI-COMPARTMENT - Our iCOLOR travel backpack has 2 compartment with zipper closure and one side pockets for water bottle .with the front small pockets, you can put your cellphone (Including iphone 6 6s plus 7 7 plus) in to protect your cell phone from scratched. the 1 main pockets is roomy enough to hold ipad,sunglasses,umbrella etc.the inner small zipperd pockets can hold your passport,card,purse,keys or other importantsmall accessories. 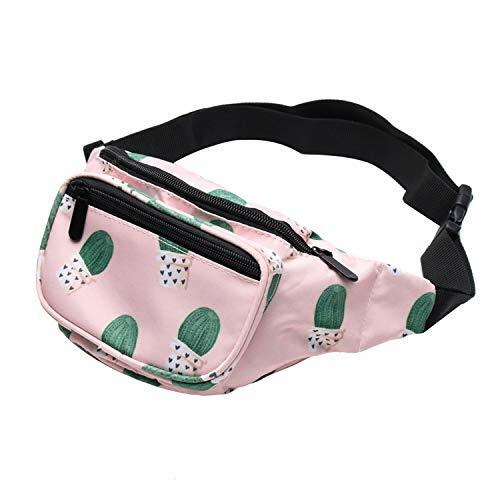 ADJUSTABLE SHOULDER STRAP - The shoulder strap of iCOLOR backapacks is adjustable ,can be extended to fit most people.It can be worn either crossbody or slung over one shoulder.you can used it as chest pack or shoulder backpack.,suitable for men and women. EASY TO STORAGE - Our iCOLOR backpack chest bag It's compact and convenient. .It is good for walking Dog ,running,climbing,hiking,vacations,bike rides, gym etc, ideal for most outdoor activities. OUR PROMISE - We always struggle after 100% customer satisfaction. That's why we offer with EVERY order a hassle-free 30 days Money Back Guarantee. 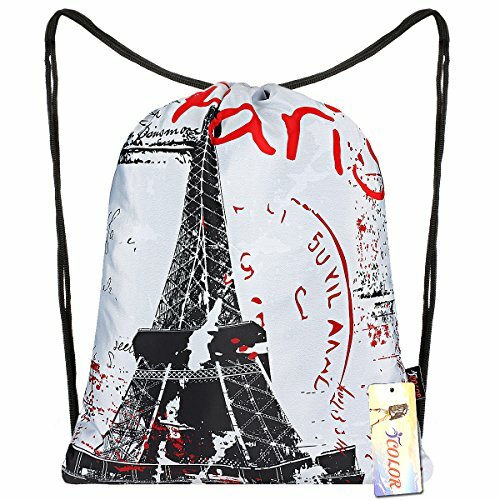 If you don't LOVE your Brand New iCOLOR sling bag backpack , we simple refund you 100%. 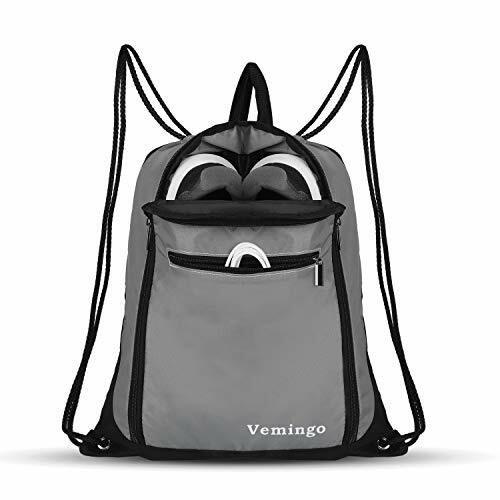 LIGHTWEIGHT AND WATERPROOF STURDY FABRIC: Vemingo string backpack is made of high density 210D polyester waterproof fabric. Lightweight, easily washable, recyclable, very sturdy and durable. 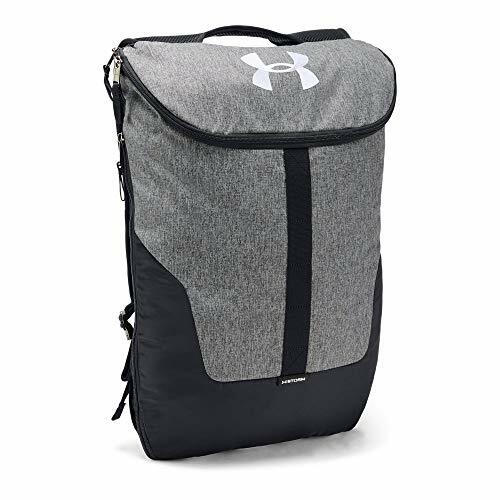 LARGE CAPACITY WITH ZIPPER POCKETS: Our drawstring gym bag measures 18.1" x 15.7" which is big enough for carrying a variety of items such as gym clothing, shoes, sporting gear, umbrella, daily supplies, etc. A large shoe compartment and another 3 zippered pocket to store phone, wallet, jewelry, key or other private items. This will help you to keep the things separated and easy to be found. STRONG AND DURABLE: The adjustable ropes are very strong and the fabric is hard to be scratched or torn. Strong enough to withstand the weight of 20 kg. Our cinch bag can last a long time even in the harsh environment. Optimal for any indoor or outdoor activities. 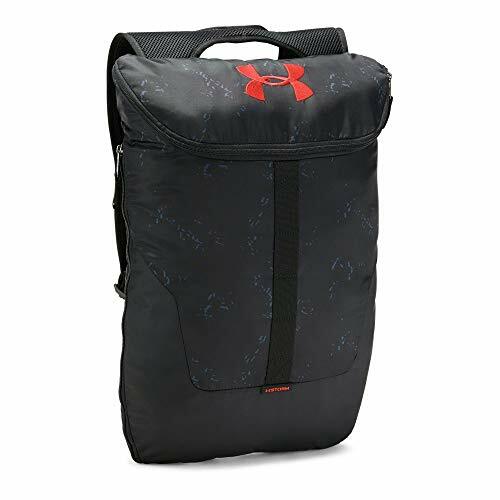 TWO WAYS TO CARRY GYM DUFFEL BAG: You can use this gym sack as a backpack with the adjustable and comfortable shoulder straps or you can carry it by the handy handle. Perfect for sports, gym, yoga, travel and etc. It is a great sports gift for men and women. 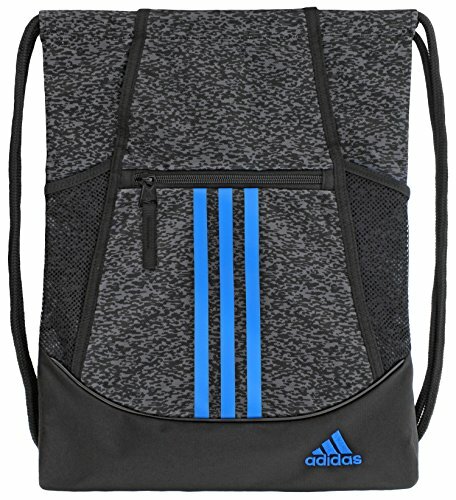 Boys and girls can use it as a gym backpack or a school bookbag. WARRANTY: If not 100% completely satisfied with our custom drawstring bags, simply contact us to request a refund or exchange. 3 month money back/replacement guarantee, 24 months product defect free replacement warranty. 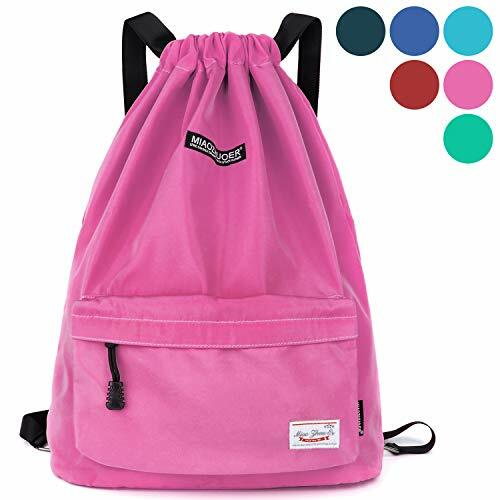 SCRATCH-RESISTANT - Our iColor Sports MINI Sling Chest Bag Shoulder Backpack Crossbody Bag durable amazing new single strap shoulder backpack travel bag, High Quality Brand SBS Double Zipper Water Resistance Nylon Material with padded nylon lining to stay wear and tear handling. Strong Stitching and Reinforced Bartack process make it super durable. 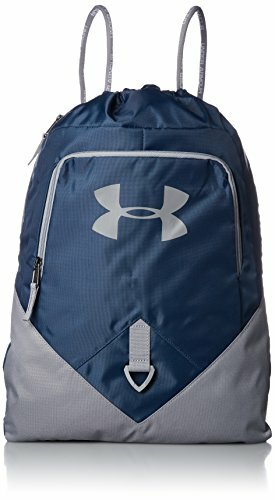 15L Triangle Pack Can't use for go to School ,Maybe it will to small ! 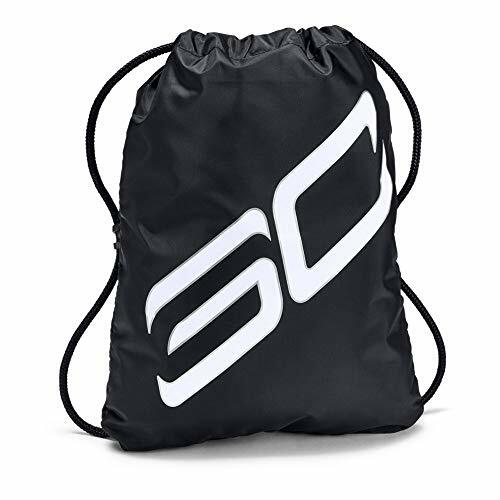 HIGH QUALITY GYM BAG - This drawstring backpack is made with durable waterproof water-resistant fabric and polyester lining, lightweight and easy to carry. LARGE SPACE & GOOD ORGANIZATION- Dimensions: 12.6*6.7*16.5 in(L*W*H). Weight:1LB. Capacity:22.8L. The main room is large enough to fit a basketball. There is a hidden pocket at the bottom of the backpack . It will help you to keep the things separated and easy to be found. The Metal Buttonholes Reinforced With Edges Add Durability. It Can Be A Gift, And It Is Appropriate For Any Occasion To Publicize Your Personality. 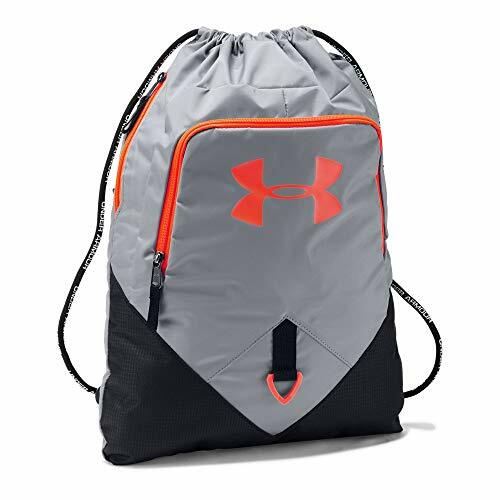 Drawstring Design: 2 Straps Each Side, Can Be A Backpack, Drag The String To Close The Bag, And Drawstring Design Allows You Store Things Quickly And Take Them In And Out Easily, Universal Lightweight, Reduce Your Shoulder Burden, You Nearly Canâ€t Fell Its Weight. 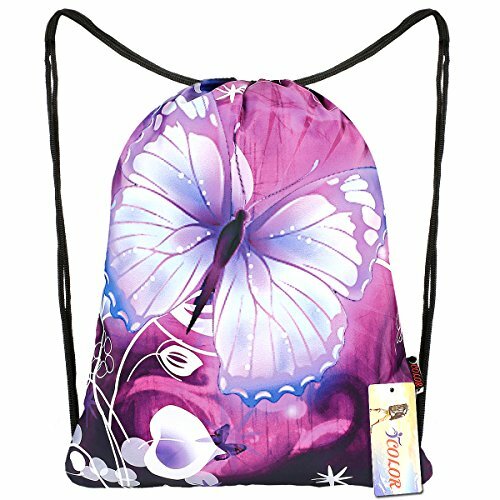 MERMAID SACKPACK: This reversible sequin drawstring backpack is designed with magical flip sequins so you can change colors depending on your mood and style for the day. Spacious shoulder bag so you can easily pack everything you need. 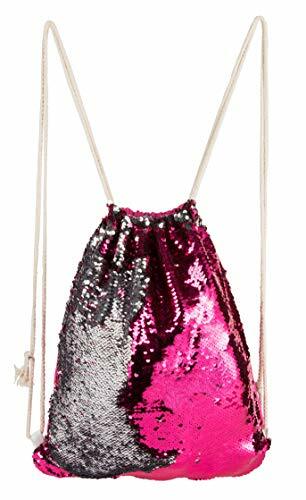 GREAT MATERIAL: The bag is made from fabric, pink, and silver sequins. Create your own patterns with this color-changing backpack. This bag is a perfect highlight item for your daily look! SUITABLE FOR ANY DAY, ANY LOAD: Use this drawstring bag for gym, sports, travel, training, yoga, swimming, competitions, practice games, night outs, and other outdoor adventures you've got lined up. GIVE GIFTS: This is a nice way to offer a reusable bag as part of the gift giving process. Perfect for birthday, holiday and back to school gift for girls, women, teens. 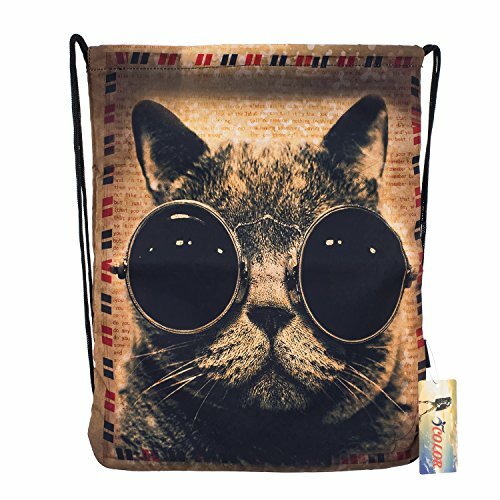 DIMENSIONS: The bag measures 12.75 x 15.75 inches. The string measures 25 inches for single side. 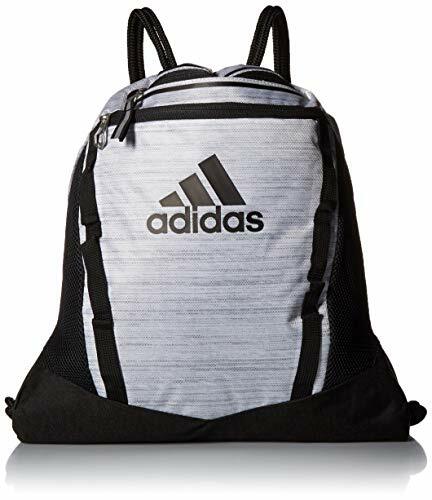 Great Sports Gift for Kids - This drawstring backpack is designed for kids. It is perfect for sports, gym and day trips. 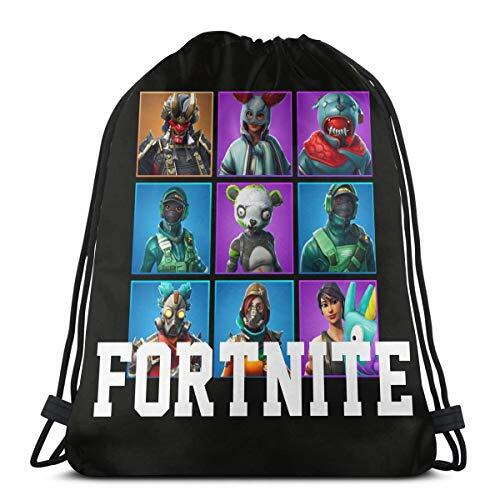 Boys and girls can use it as a school bookbag or a gymsack. Large Space for Items - The main room is large enough to fit a basketball. 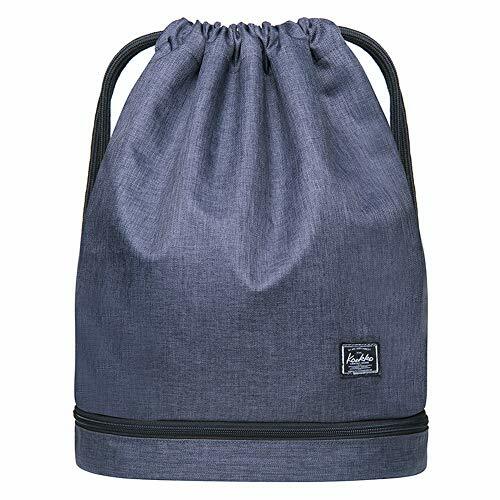 This cinch sack can even fit all of the things for day trips. A external zipper pocket and an inner zipper pocket are designed for small items. Non Twisted Wide Shoulder Straps - The shoulder straps will never twist and can be adjusted easily. 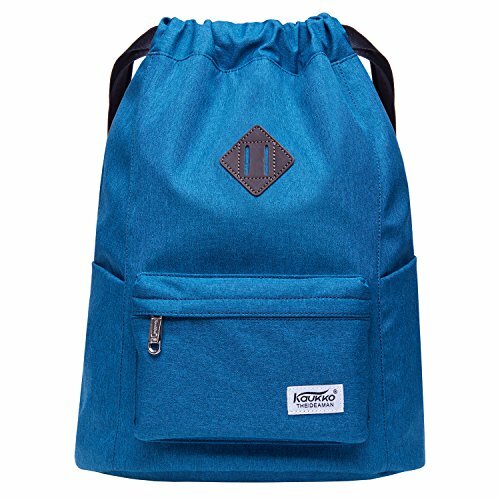 The wide shoulder straps will keep your shoulders comfortable even if you wear this drawstring bag for a long time. Strong and Durable - The fabric of this sackpack is thick, strong and not easy to be scratched or torn. This string backpack is strong enough to withstand the weight of 20 kg. It can last a long time even in the harsh environment. Money Back Guarantee - 30-day Money Back Guarantee! 100% Replacement for defective items! If you are not satisfied, Please contact the seller. 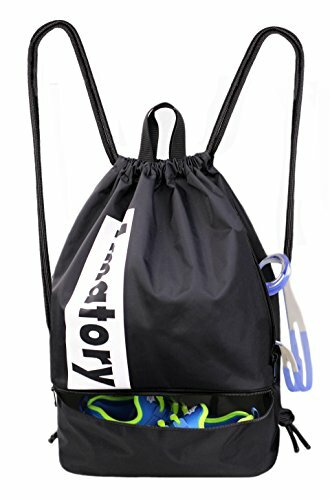 STRONG AND DURABLE SWIM GYM PE BAG - Made of extra strong durable waterproof Nylon with comfortable soft and thick drawstring for easy carrying. 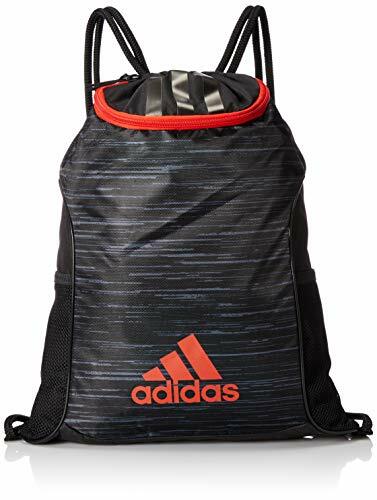 This light and durable gym sports bag is stronger than most branded drawstring bags, ideal for any indoor or outdoor sports and leisure activities. 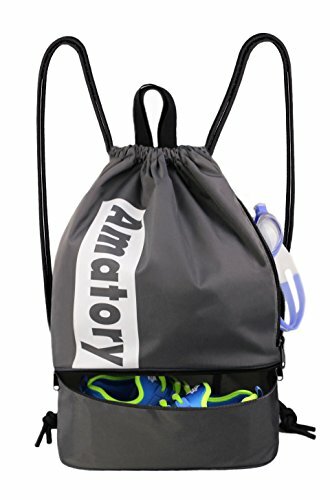 This swim/gym bag is unisex and fits for multiple activities like swimming, gym, yoga, walking, cycling, shopping and etc. 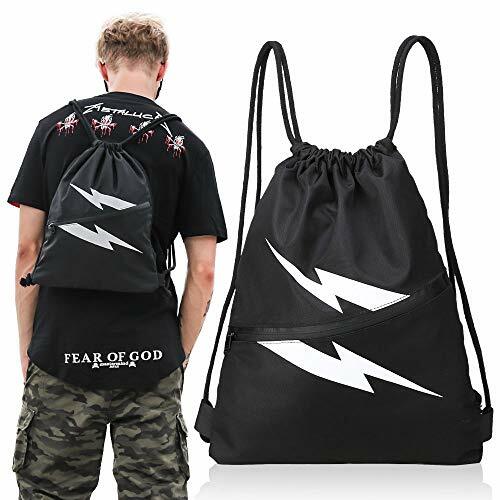 LARGE STORAGE: This drawstring bag is ideal for carrying a variety of items like clothing, towel, shoes, sporting gears and other accessories. CLEAN AND DIRTY SEPARATION: A wonderful bag that allows you to carry your clean and dirty items in the same bag, great for swimming suits, changed clothes or other non-water dripping wet items. LIGHTWEIGHT and HIGH CAPACITY - Talking in data: 11.8 x 6.3 x 15.7 inches and 0.77lb. 1 main compartment is large and roomy enough for you to carry all you essentials and sports accessories. Lightweight without any burden, much more convenient and comfy than using a bulky backpack. Perfect for carrying all your essentials while adding no extra bulk or weight. PRACTICAL POCKETS - Our drawstring sports backpack is pretty roomy and large for you to store items, and there is also a front zippered pocket to store your small and personal items like phone, keys, wallet or small cosmetic and makeups. Front zipper pocket is easy access to get what you need and main compartment is large enough. 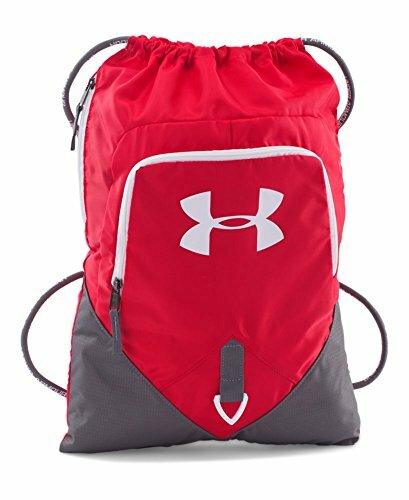 ADJUSTABLE COMFY WIDE SHOULDER STRAPS - Wide, adjustable and sturdy shoulder straps make this gym string backpack more comfortable and durable. The shoulder straps can still be easily adjusted, making you no worry about hanging low or high on your back. You will not feel uncomfortable even if you carry it for a long time. 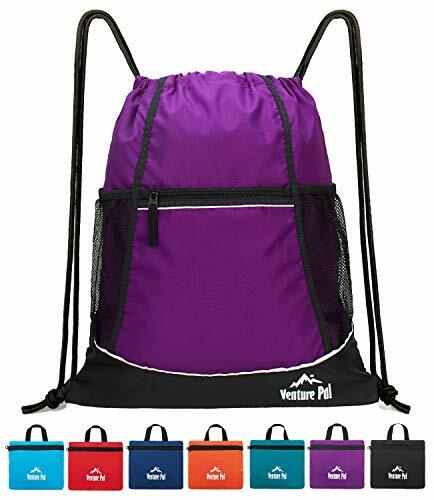 MULTIPLE PURPOSES - Packable as a carry on drawstring backpack or travel backpack; Use it for any outdoor activities like swimming, dance, basketball, gym, tennis, badminton, beach, walking, school, daily use, etc. LIFETIME WARRANTY - Peicees stand behind her every product. Life-time free replacement for defetives and 30 day money back guarantee if not satisfied. 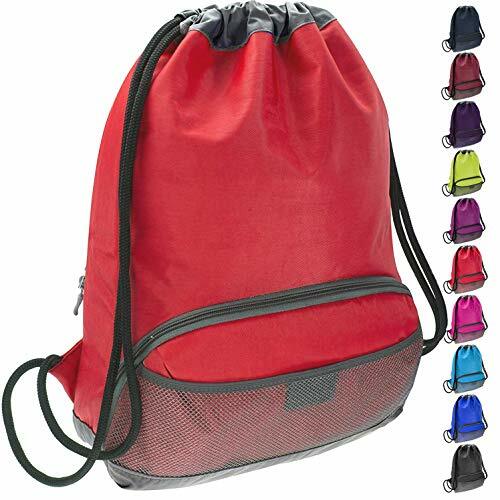 Great Sports Gift - This drawstring backpack is perfect for sports, gym, yoga, travel and etc. It is a great sports gift for men and women. 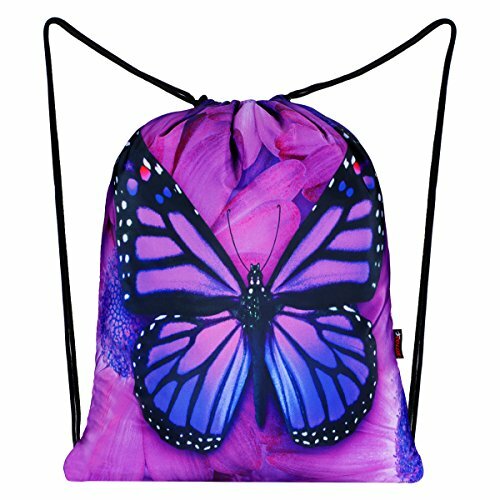 Boys and girls can use it as a gym backpack or a school bookbag. 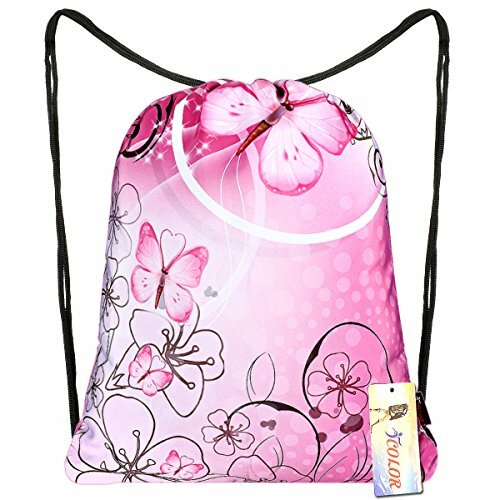 Double Layers Design - The top is a perfect drawstring bag. The main space is large enough to fit a basketball. This gymsack has many pockets for your small items. Lightweight and Waterproof - This sackpack is lightweight and easy to carry. The fabric is waterproof and all the things inside are protected very well. 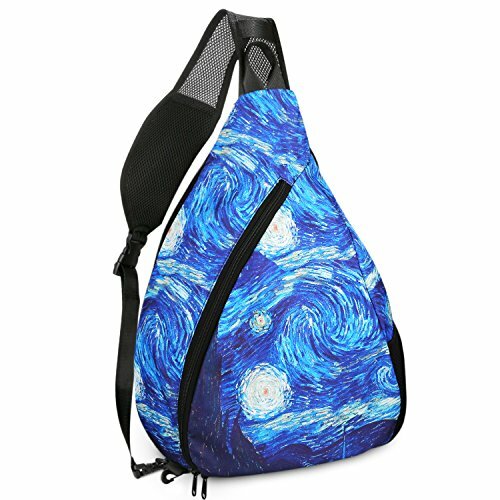 It is a great cinch sack bag for gym, yoga and your day trips. Strong and Durable - The ropes are very strong and the fabric is hard to be scratched or torn. This string backpack can last a long time even in the harsh environment.